When caring for the health and beauty of your teeth and gums, you brush and floss your teeth daily. You even visit your dentist twice a month. However, you may be skipping out on an important step—mouthwash. While many people believe the minty flavor only makes your breath smell better, there are times your Grande Prairie dentist may actually recommend the use of mouthwash. There are many different types of mouthwashes available, each with a specific purpose to promote oral health, such as fighting gum disease. However, not all mouthwashes are the same. At Access Dental, we are here to help you understand how to choose the best mouthwash. When choosing a mouthwash, you want to choose one that has the ADA (American Dental Association) seal. This means the mouthwash has been evaluated to ensure safety and efficiency through the ADA Council on Scientific Affairs. Choosing a mouthwash with the ADA seal can help to prevent tooth decay, reduce plaque, and even treat gingivitis. In some cases, the mouthwashes may even reduce the rate of tarter formation while others may offer a combination of these benefits. Typically, there are a few key active ingredients found in standard mouthwashes. Among one of the most common are antimicrobial agents, which help to reduce plaque and gingivitis while helping to control bad breath. Mouthwashes that contain fluoride can help prevent tooth decay in the enamel, while those that contain astringent salts can temporarily mask bad breath. To help combat bad breath, other mouthwashes contain certain order neutralizers, which inactivate odor causing compounds. Mouthwashes are generally categorized in two areas: cosmetic and therapeutic. Cosmetic mouthwashes freshen the breath, however, they do not typically contain active ingredients to kill or fight odor causing bacteria. Therapeutic mouthwashes on the other hand are those that aid plaque, gingivitis, cavities and bad breath. If your dentist recommends the use of a mouthwash, they will recommend a therapeutic mouthwash. DO I NEED A MOUTHWASH? Your dentist will evaluate your oral health to determine if a mouthwash will be beneficial for your specific needs. However, it is important to understand that a mouthwash is not a substitute for brushing and flossing. Instead, they should be used as recommended by your dentist to help aid the effects of regular home oral hygiene. There are a number of mouthwashes available over-the-counter that can suit your specific needs. For example, those who have bad breath or gum disease, Listerine has earned the ADA Seal of Acceptance for effectively reducing gum disease and plaque by as much as 75 percent. For those who are prone to cavities, ACT Anti-Cavity Fluoride Mouthwash may be recommended as it has also earned the ADA Seal of Acceptance to reduce the occurrence of cavities. To determine if you will benefit from using a mouthwash regularly, you will need to have a consultation with your dentist at Access Dental. We will evaluate your oral health and concerns to determine which mouthwash is right for you. Poor oral hygiene can lead to dental problems such as gum disease and bone loss, so we recommend visiting us for regular checkups and cleanings. Have questions about your oral health? Experiencing a toothache? 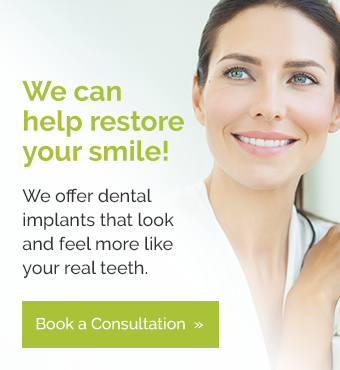 Call your Grande Prairie Dental team!